Garfield on a busy day. The Garfield Messenger is a student-run newspaper at Garfield High School in Seattle, Washington. The paper has been a part of Garfield since 1922, and currently has about 35 students on staff, led by faculty adviser Timothy Zimmermann. A 20-page paper is printed approximately once every three weeks for a yearly total of about 8-9 issues. The paper supports itself primarily by subscriptions; approximately 300 families and individuals subscribe each year. Additional income is gained from fundraising and the sale of advertisements. 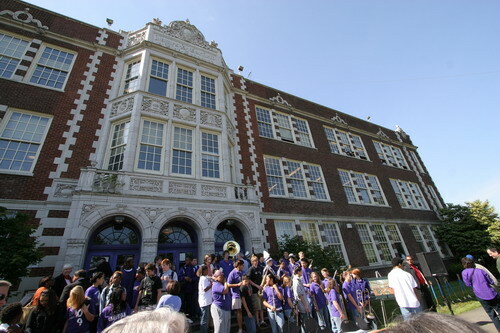 The paper not only reaches subscribers, but also the over 1,700 students that attend Garfield, as well as faculty, and the friends and families of students.